I’m an expat, which means I am from one place, but, presented with the opportunity of living someplace else, I chose to go for it and make a new home. There is another word to describe a person like me, a transplant. Easy transition from my boring little life into the wine blogging part of this wine blog, you can also transplant vines. I’ve always been curious to see how some varieties, or blends that are typical of an old world region turn out in a different setting. In a way they are like me, expats, transplants, refugees, exiles, except that I actually decided to move, nobody just grabbed me and uprooted me to a strange place. In the case of today’s wine, Marsanne and Viognier are a traditional blend from the Rhone Valley region of France (sometimes involving another variety called Roussanne). Viognier is the aromatic part of the blend with Marsanne providing body, staying power, color and ageing potential. They are used to produce some of the most respected whites from the Rhone Valley, like the Hermitage appellation in the Northern part of the Rhone. Treana is the name of a range of wines from Hope Family Wines out of Paso Robles, California. The vineyards are located in the Central Coast, a region that is known for the cooling influence of the Pacific Ocean on its climate which should help make the climate more similar to the windy northern Rhone Valley. Palate: dry, medium-plus body, medium minus acidity, long finish. Notes of yellow peach and apricot along with cloves and a slight mineral quality. Nutty notes from oak on the finish. This wine has a lot of aromas; it’s very fruity but also has spicy, flowery, mineral and oaky elements which give it a lot of complexity. It’s a wine that makes me think of summer whenever I take a sip, not a lazy summer day but rather a full, busy, fun summer day. Ripe fruits, a rich style, nice body, long finish, there are a lot of things going on. Food pairings: White meat, shellfish and spicy foods sound like potential matches. Overall opinion: Complex and rich with a lot of aromas, a good fuller bodied white wine that remains fruity. The wine also has potential to age for a few more years. I think it’s a winner. I went to a friend’s new apartment last weekend and we had some wine while touring the new place. A California Pinot was one of the options, and considering I’ve been writing a lot zbout Burgundy recently, I thought it would be a good opportunity to compare Burgundian Pinot Noirs to their surfer-dudes cousins. On theory alone, I have a hard time wrapping my mind around the idea of growing Pinot in California. In my mind Pinot comes from miserable, rainy weather (i.e. Burgundy). Nothing says Burgundy in the wintertime better than frozen mud. New Zealand? Sure, it rains, there are clouds, it makes sense. The Pacific Northwest? No problem, it rains all the time, Twilight takes place there, it’s miserable all right. Sunny, warm, easy-going California? That makes less sense, let’s investigate. Nose: Clean, medium intensity, aromas of dark berries, riper and darker than a young Pinot from Burgundy would give you. The nose gets a little heavier after a while with some “fall” aromas, a mix of spices and light smoke, very entertaining. Pinot Noirs from California have a reputation for straightforward fruitiness (in a good way), especially when compared to the Burgundy red my early wine education relied so much on. This wine is a good illustration of that stereotype, lots of fruits, mostly dark cherries, very ripe, very fruity and also, very smooth. I didn’t get any hints of the “heavier” aromas I got on the nose, what I called the “Fall” notes which are to me a staple of Pinot Noir. It is straightforward and fruity but it’s also very, very smooth. I was surprised by the ripeness of the fruit; it was like the wine was happy to see me! It’s something you rarely get from Old World Pinots Noir and it was refreshing! I didn’t mind the wine getting a little familiar and California like with me. Had it called me “brah” I would have drawn a line but the inherent classiness of the Pinot gave it that much restraint at least. 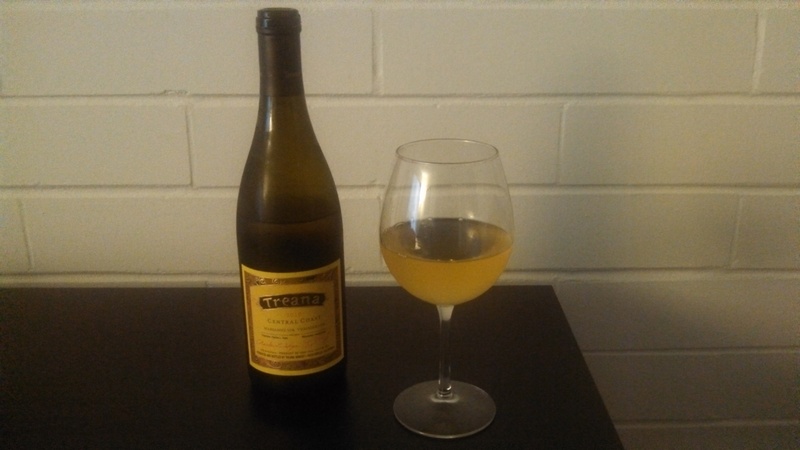 Food pairings: I had this wine without any food, a conversation wine if you will. It served that purpose well. It would go well with lighter meats like veal of chicken, nothing too spicy. I think the good acidity would help it deal with sauces though. Overall opinion: Go back to the top of the page, check the price, then come back down, I’m not going anywhere. Good? You’re back? Great. 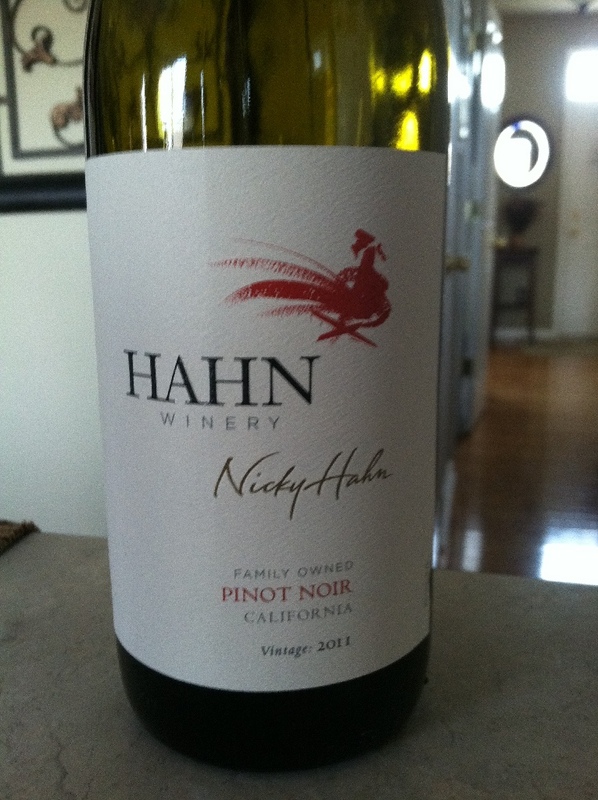 $12 for a more than decent, smooth Pinot Noir, I call that great value for money. It’s an unpretentious wine that works on its own and could accommodate a wide range of dishes, I’d stock up on it a little bit.